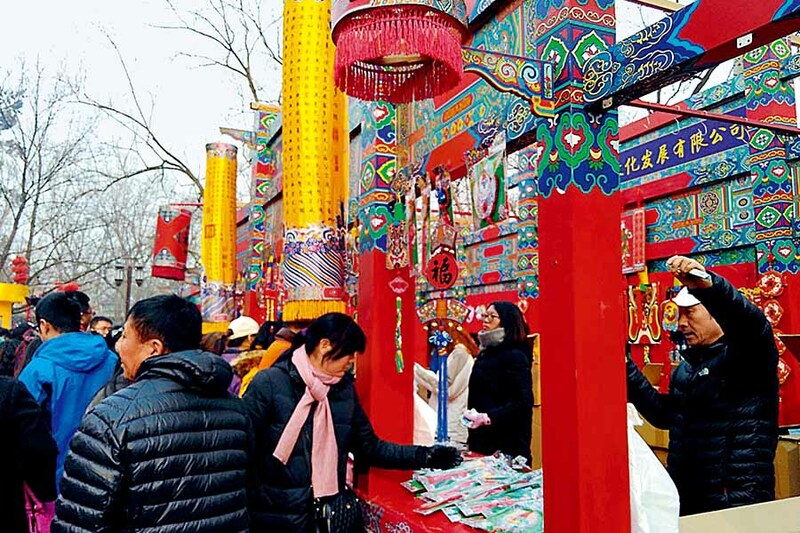 I’m lucky enough to live very close to Ditan Park (or the Temple of Earth), dating back to the Ming Dynasty (1368-1644), in the northern part of central Beijing, and I had heard great things about the traditional temple fairs that were to take place there over the Spring Festival period. I had, however, somewhat underestimated the number of other people that would also be attending. 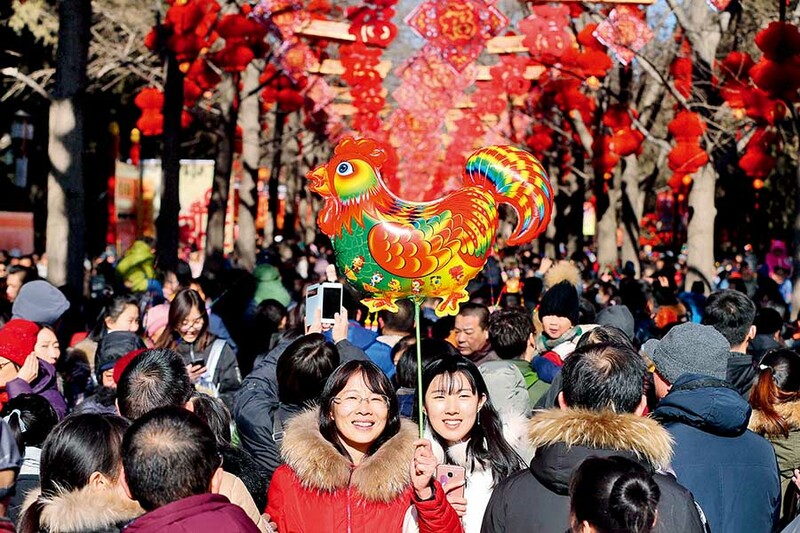 In the run-up to the holiday, whenever my Chinese friends and colleagues discovered that I was staying in Beijing, they responded invariably, “But Beijing will be so empty!” In the days before the Lunar New Year’s Eve, that seemed to be correct. Subway trains were half-empty, roads were quiet, and many shops closed. Then, on the first day of the New Year, when the dust had barely settled from the fireworks the night before, I looked out of my window to see huge crowds of people swarming towards the park, and traffic at a standstill as drivers tried to find a space to park. To me, if anything, it seemed busier than a normal Beijing day! Elsewhere around Beijing, apart from the fact that a lot of smaller businesses and restaurants were closed, life continued much like normal. Families with children took advantage of the cold, bright weather to go ice skating on the frozen Houhai Lake, whilst tourists flocked to the shops and cafés of Nanluoguxiang like any other time of the year. Beijing’s bus and subway system was as efficient as ever—perhaps even more so, given the reduced traffic—and larger shops and attractions remained open throughout the week, catering to those who were using the holiday period to visit Beijing from other parts of the country. 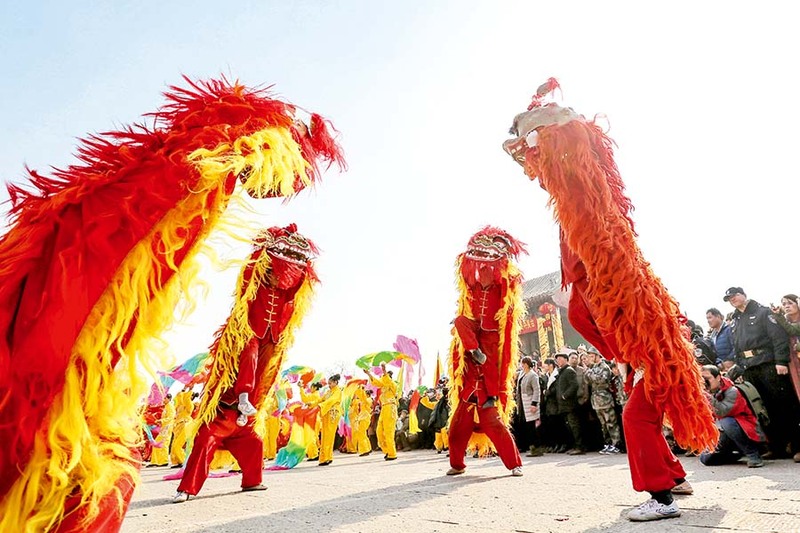 All in all, my experience of the Spring Festival in Beijing was one of a city acknowledging the most important cultural celebration in its calendar, whilst also trying to keep things moving as seamlessly as possible. It would be impossible not to notice the festival, even without the fireworks—red lanterns appear on every street light, and decorations adorn doors and windows on every corner—but it is very possible to live through it with relatively little disruption. 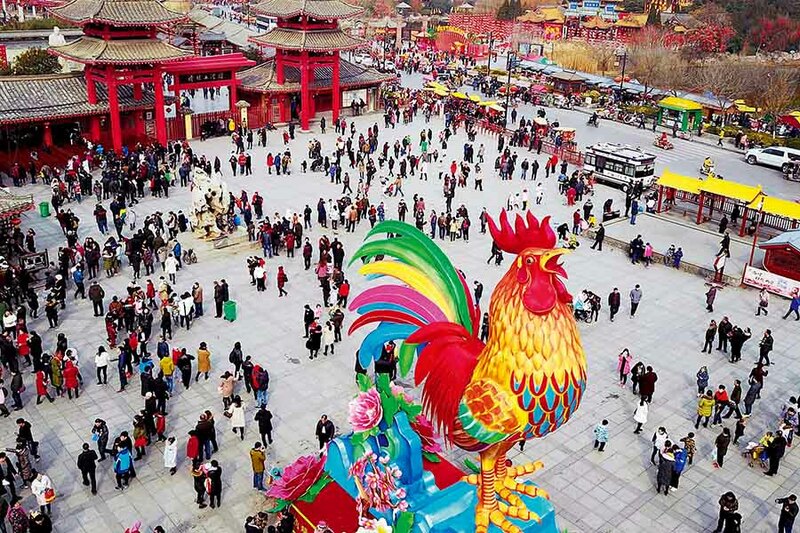 As a foreigner in Beijing, it is easy to feel as though the Spring Festival isn’t something that is personally relevant. After all, much like Christmas in the Western world, it is first and foremost a celebration of family. But in my experience, you’d be hard-pressed not to feel at least a little of the excitement that comes along with it.